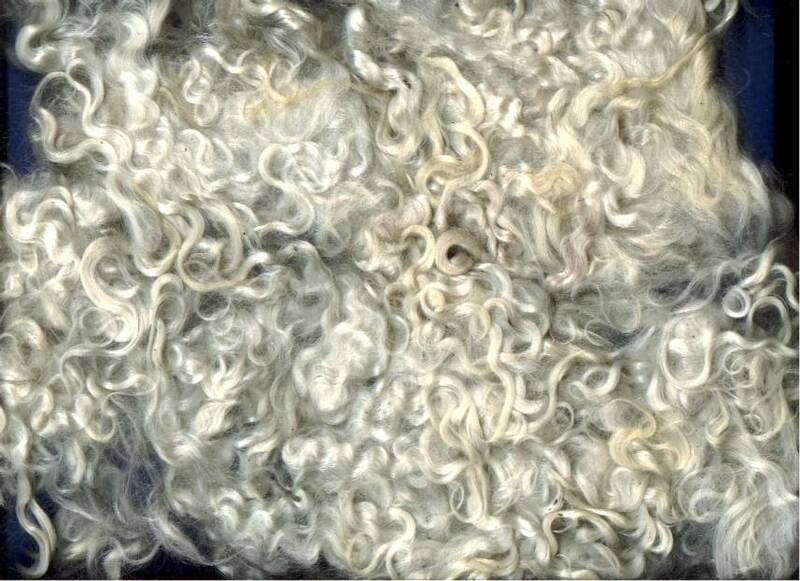 Mohair that has not been washed is called grease mohair by the mills , other terms used are Raw mohair or unwashed mohair. All three terms mean the same thing the mohair still has all the grease dirt and waxes that accumulated on the goat over the 6-12 months that the goats hair grew . Goats do not take baths , Expect to loose 30-40% of the weight in washing the fiber and removing any damaged bits of mohair. Grease mohair need a very hot soapy bath the ideal temperature is 135 degrees. I wash several times then rinse several times in the same temperature water. After washing in many hot soapy baths the mohair is ready for further processing. 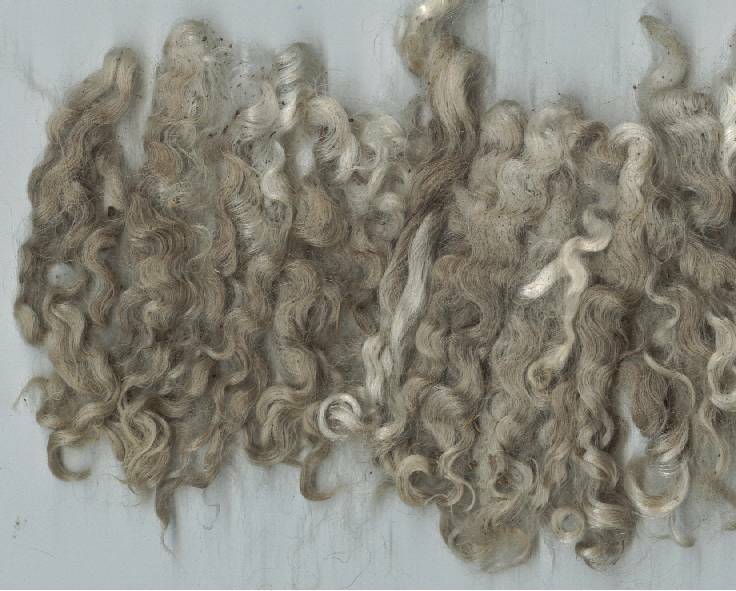 The dirt and grease are now gone and the Mohair can be used for dyeing, wefting or spinning. The mohair must be washed well so not only is the visible dirt gone but the stubborn waxes, salts and lanolin must be thoroughly removed or the dye will crock or rub off when the mohair is used. This can be a major problem for doll makers as the dye that attaches to improperly washed mohair can rub off and stain the dolls while the doll artist is rooting or wigging the doll. Bulk mohair is mohair that has been washed (and can also be dyed) but is not yet sorted , during washing and dying the mohair is moved around and the locks are now just in a pile waiting for attention . and are often pointing every which way . 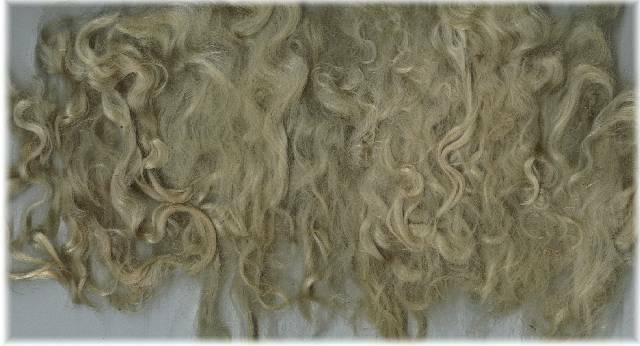 Bulk mohair is less expencive to purchase because there is less labor involved , but there is more wastethan sorted locks. 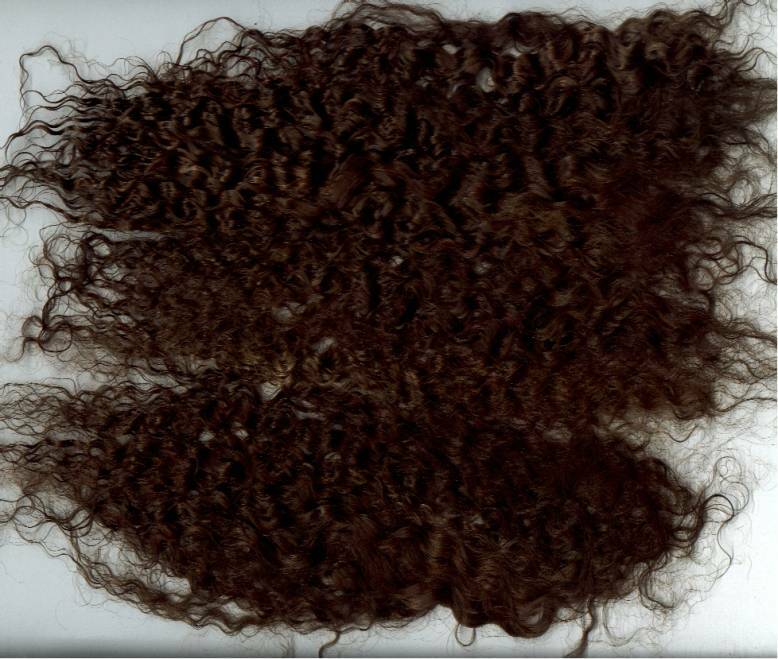 Select locks are only the best curls ,and any shorter hairs are Brushed off the ends . The mohair is then dipped in a very light conditioning solution. and laid out flat to allow the curls to come back as it dries. Only the ends are combed the price is higher as there is so much more labor to get the select locks ready. 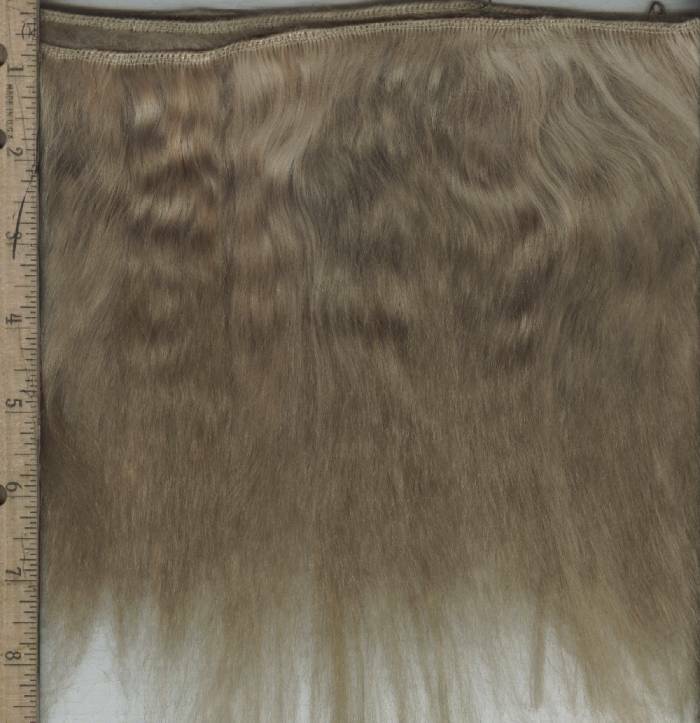 Combed mohair, This is when the locks of mohair are carefully brushed out, and dipped in a light conditioner and allowed to dry . Like select locks this is a labor intense . But this is the easiest preparation to use, as the hard work is done. 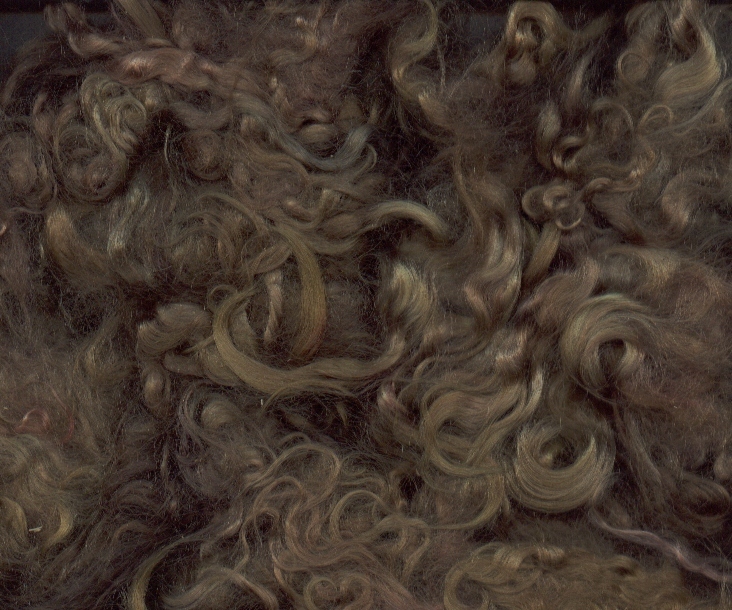 All the shorter hairs are removed , The Mohair will be silky smooth and free of any hay or other bits of chaff . Because the mohair gets frizzy when brushed it is dipped in a very light conditioning bath and laid out to dry. Combed mohair needs to be ordered ahead as there are too many colors and lengths to have all in stock combed .Please leave a week or more as there may be other orders waiting to be done . This is very important if your is an order for several oz of combed mohair. I work on the orders in the order that the payment clears. 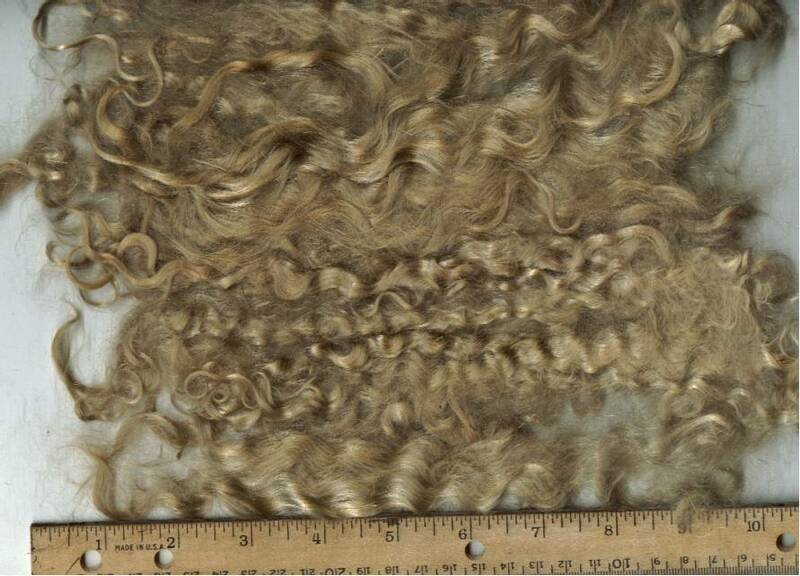 Mohair weft is also called wefted mohair .The mohair is combed and then sewn across the top edge . The ends are turned down and sewn across several more times . This is how hair is prepared to sew onto a wig cap.